News. The next Little Kids Day In at Scienceworks will be held on Monday 1 May, 2017 and we've got 5 double passes to giveaway. The theme? 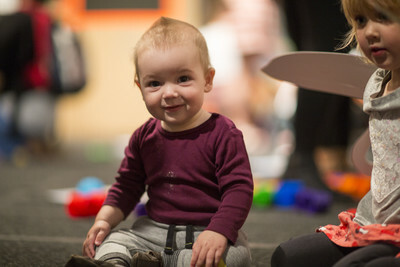 Ready, Set, Go, with a range of play-based activities and shows designed to nurture littlies interest in science, technology, engineering and maths (STEM). Build things that can fly in our blustery wind tubes, experiment with gears and wheels in our activity spaces, program a Code-a-pillar toy through tunnels, and get things moving in The Go Show! 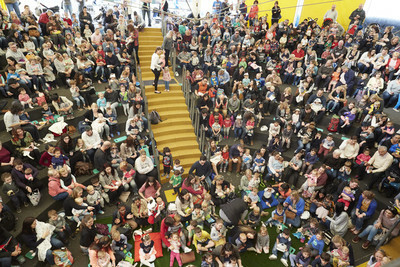 Little Kids’ Day in on Monday 1 May will be a fun day especially for kids aged 5 and under, their parents and carers. Little kids are FREE. Big kids (adults) entry is $14. However, we've got 5 double-passes to giveaway to KidTown Melbourne readers. This means you can attend with a friend! Are you on Instagram? Hop on over to our Instagram Page for a chance to win one of 5 double passes for Little Kids’ Day In – Creepy Crawlies day, on Monday 6 March. 5 winners will be chosen at random on Thursday 27 April.